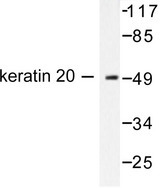 Cytokeratin 20 antibody LS-B10488 is an unconjugated rabbit polyclonal antibody to Cytokeratin 20 (KRT20 / CK20) from human, mouse and rat. Validated for IF, IHC and WB. Tested on 20 paraffin-embedded human tissues. 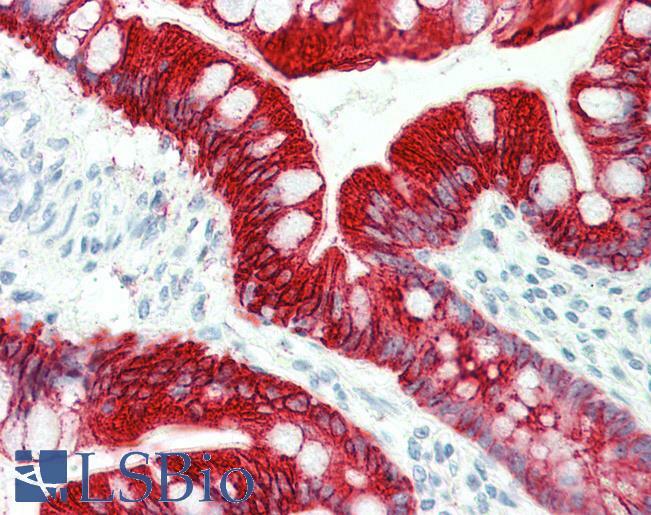 Anti-KRT20 / Cytokeratin 20 antibody IHC staining of human small intestine. Immunohistochemistry of formalin-fixed, paraffin-embedded tissue after heat-induced antigen retrieval. 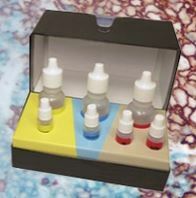 Antibody dilution 1:200. 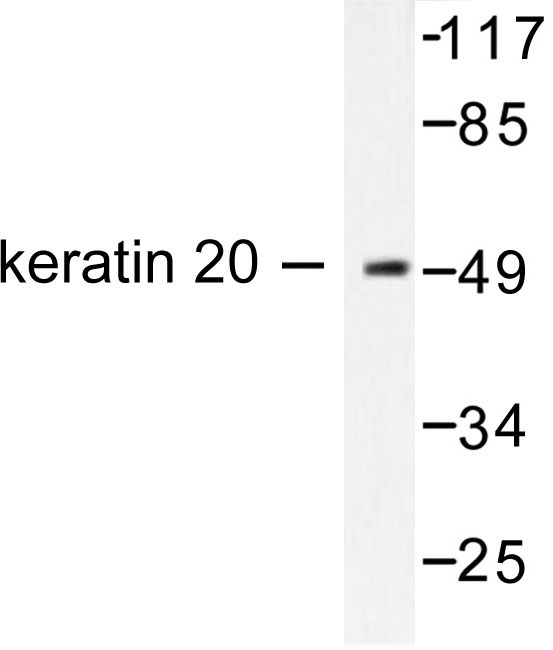 Western blot of Cytokeratin 20 (D409) pAb in extracts from HeLa cells.